We have an exciting opportunity here at J. Morrissey Recruiting and Staffing. We are seeking an experienced Staffing Specialist to join our Office Support Group. Our Office Support team places both temporary and full-time professionals and is recognized among the most trusted office support groups in the industry. The role of this Staffing Specialist is to find and place qualified candidates in a variety of office and administrative roles at small to large companies across a wide scope of industries. These roles can range from receptionists to accounting and HR professionals to project managers – among many others. This person will also be responsible for building and maintaining positive client relationships. The ideal candidate for this staffing position has a positive attitude, excellent communication skills and enjoys working in a fast-paced environment. This is a great opportunity for anyone who wants to make a positive impact in people’ s lives while helping companies achieve their business goals. Our agency has been a leader in the recruiting and staffing industry for over 3 decades. We have built an environment where our employees can grow and build rewarding careers while serving others. If you are passionate about building meaningful relationships with clients, candidates and your team, then connect with us today. Erik J. Heller has over 20 years of experience in the Recruiting and Staffing industry and has been with J.Morrissey since 1994 holding various roles with increasing responsibility. He is nationally recognized as a Certified Personnel Consultant and Certified Temporary Specialist. As the Chief Operating Officer and Senior Vice President, Erik is responsible for the operations of all J.Morrissey offices (Windsor CT, Shelton CT, Springfield MA) as well as running a successful Healthcare Practice. He has experience placing Healthcare professionals into a variety of environments including: hospitals, managed care organizations, physician practices, management service organizations, home care agencies, and long term care facilities. In addition, Erik has a comprehensive understanding of Healthcare Reimbursement, the Revenue Cycle, Case Management and Managed Care. 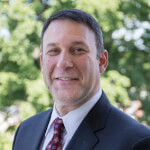 Erik is a founding member and Chairman of the American Staffing Association’s Connecticut Regional Council, formerly known as the Connecticut Staffing Association, and is a Past President of the Connecticut Association of Personnel Services. He served on the Board of Directors and Executive Committee from 1999 to 2012 holding various roles such as Treasurer, 1st and 2nd Vice President Chairs. Other association’s Erik has involvement in: the National Association of Personnel Services, American Staffing Association’s Healthcare Section, Quinnipiac University Alumni Association, the Connecticut Medical Group Management Association, the Connecticut Case Management Society, and is a former Board member for the SummerWind Performing Arts Center. Erik attended Quinnipiac College where he received a Bachelor of Science Degree in Business Management with a concentration in Human Resources.